We are in the middle of the 19th century and the cutlery industry is in full swing. 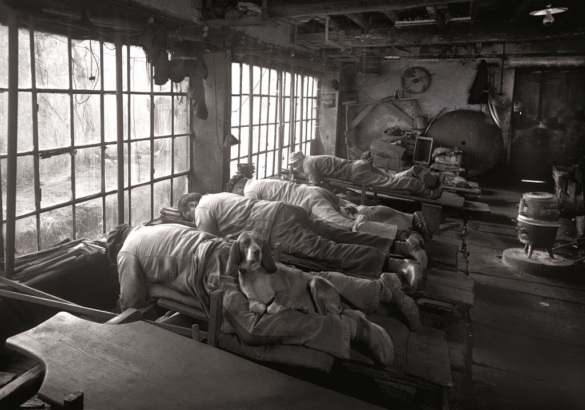 At that time, the cutlery business occupies 25,000 people. 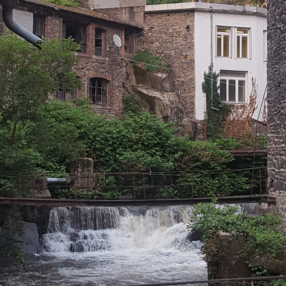 In the valley, the factories beat the iron and the spinning wheels sharpen the blades. 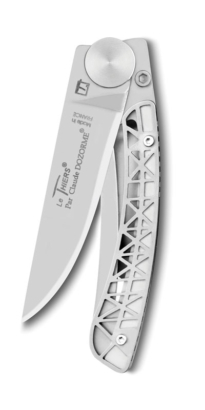 In the city, we assemble, polish, trade, repair … Thiers and its surroundings live and breathe knives all day long. 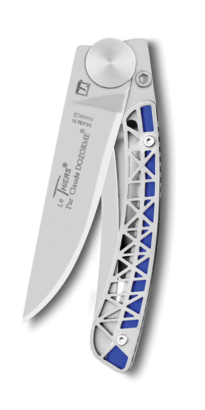 One of the specificities of cutlery in Thiers is the manufacture of regional knives, the most famous is the Laguiole (named after a village in Aveyron). However, nothing predestined Thiers to this specialization. There are no iron or steel mines or sandstone quarries on the site. 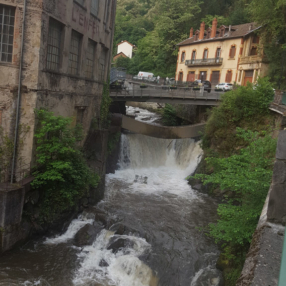 But there is the forceful river Durolle, whose hydraulic force will provide the energy needed mills and factories cutlers. Not to mention the tremendous obstinacy and motivation of a population occupying a difficult and steep territory. Moreover, from the 17th century, the knives made in Thiers were exported from the ports of Bordeaux and Nantes, via Spain and Italy, to the Levant. But it is truly in the nineteenth century that cutlery will grow phenomenally. 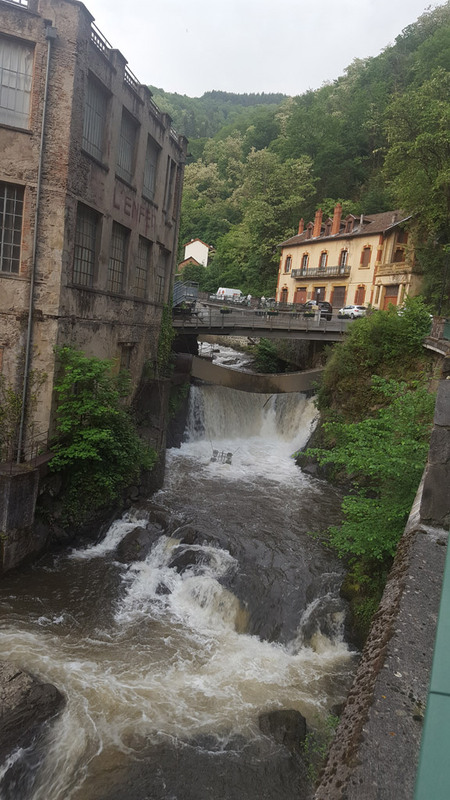 Built along the banks of the Durolle, in what is now known as «Vallée des Usines” also called “Le Creux de l’Enfer”, the workshops take full advantage of the energy provided by the river to produce and supply massively the hardware stores wholesalers from France and Navarre. And this, thanks to a successful organization of work, based on fragmentation: the work is split between a multitude of workshops that only perform a stage of manufacture. So there are as many trades as stages of making a knife. This is work at home governed by a specific collective agreement. 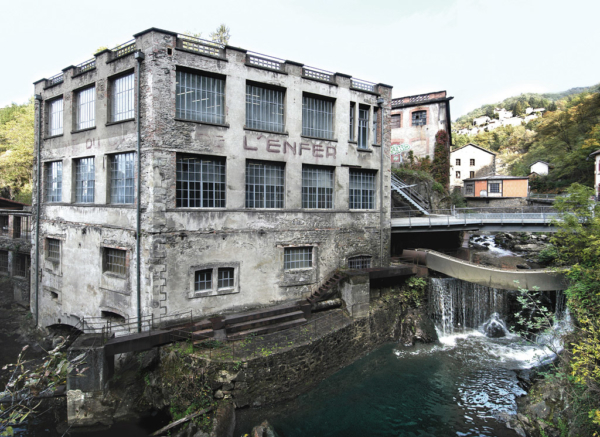 « At Creux de l’Enfer, one of the spinning wheels where Blaise Dozorme learned the job of grinder » a Dozorme’s picture. Local memory still remembers the “yellow bellies”, these hundreds of grinders (who give their edge to the blades) lying side by side on the belly above the wheels with their dogs lying on the legs to warm them up. 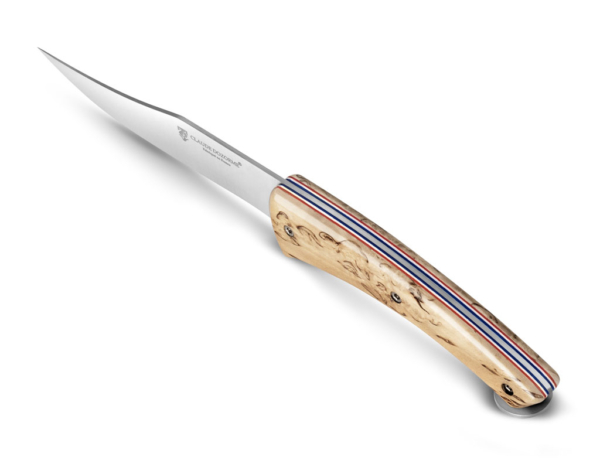 This specific position to the French cutlery business allowed them to support the blade on the sandstone wheel to give it its first edge. A position far from comfortable but certainly the most stable to perform this crucial step in the manufacture of a knife. It must be remembered that the grinder has a primary role and his work is certainly the most prestigious in the production line of a knife. Indeed, this step of grinding the blade to refine it will determine the longevity and quality of the cutting edge of the future blade, the quality of its cut and the ability to rebuild the knife several times after use! Today, “grind” is always done with great care but is performed in a vertical position, a much more comfortable posture or numerically with high precision equipment. 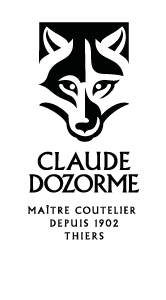 The Claude Dozorme factory has fully integrated this crucial step by equipping itself with a state-of-the-art, high-performance emulsion machine equipped with digital sensors that measure the wear of the grinding wheel and reposition it in order to obtain an excessively precise and constant grinding on all the blades Claude Dozorme. This is one of the reasons why the pocket knives, table knives and kitchen knives produced by the family factory offer perfect cutting quality. The opening of a bottle requires good tools perfectly adapted. That’s why Claude Dozorme company offers very high precision corkscrew that have an excellent grip. Appreciated by connoisseurs, the Dozorme’s corkscrew are made in close collaboration with professionals, whether they are wine merchants, oenologists or sommeliers. Little brother of Clos Laguiole the corkscrew Le Thiers® is the last born of the cutlery located in Thiers. 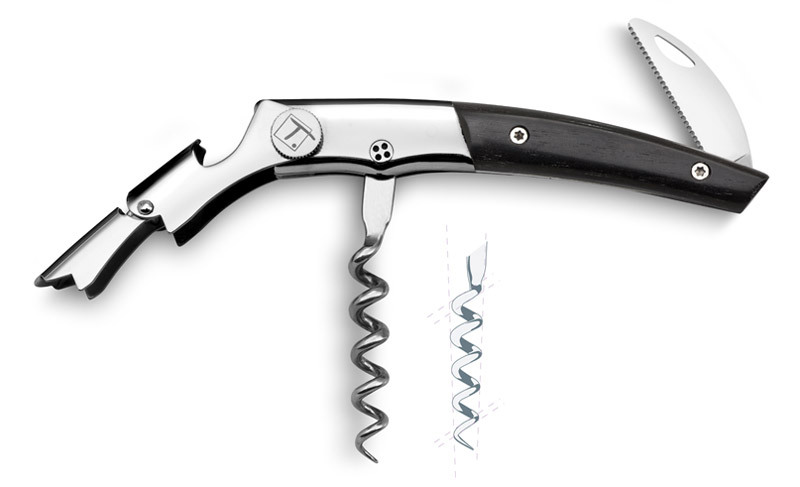 Entirely hand-made in the cutlery workshops, the corkscrew Le Thiers® has a conical drill specially designed in a high-quality steel guaranteeing a perfect opening of the bottles (even the oldest) without damaging or breaking the plugs. Its double-lever toad allows extraction of corks in 2 times, to avoid the broken caps or crumbling in the wine. 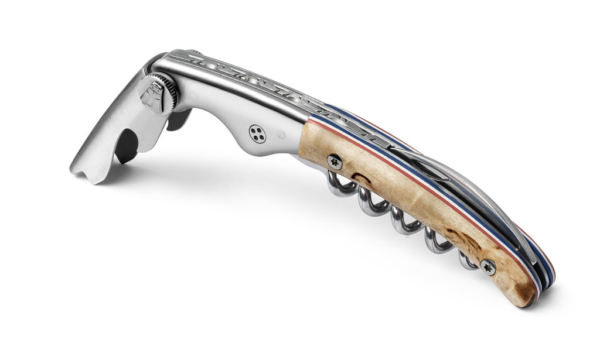 And to perfect the service, the corkscrew Le Thiers® is equipped with a notched capsule cutter that offers a clean and easy cutting of all the lids of the wine bottles. Available in 6 models, the sleeves of the corkscrew Le Thiers® are adorned with wood or horns: dwarf birch, juniper, ebony, deer, ram or light horn. Because each nectar deserves the best! Exclusive launch at the last Maison & Objet show in Paris. Dozorme sabers the Champagne ! What would be the end of year celebrations without Champagne, a sparkling symbol of French elegance and refinement ? 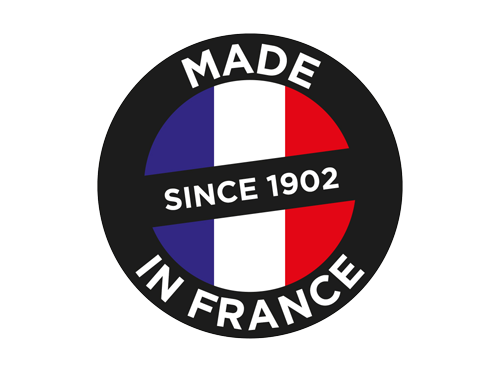 Loved worldwide for its light, sparkling bubbles and its unique taste, it’s the standard bearer for the image and attractiveness of France. The opening and serving of Champagne is imbued with a certain ritual. The most emblematic of these is still the sabering of the neck of the bottle. To perpetuate this centuries-old tradition, the Claude Dozorme Company is reissuing magnificent collections of Champagne sabers, entirely made in France in the heart of the family factory in Thiers. 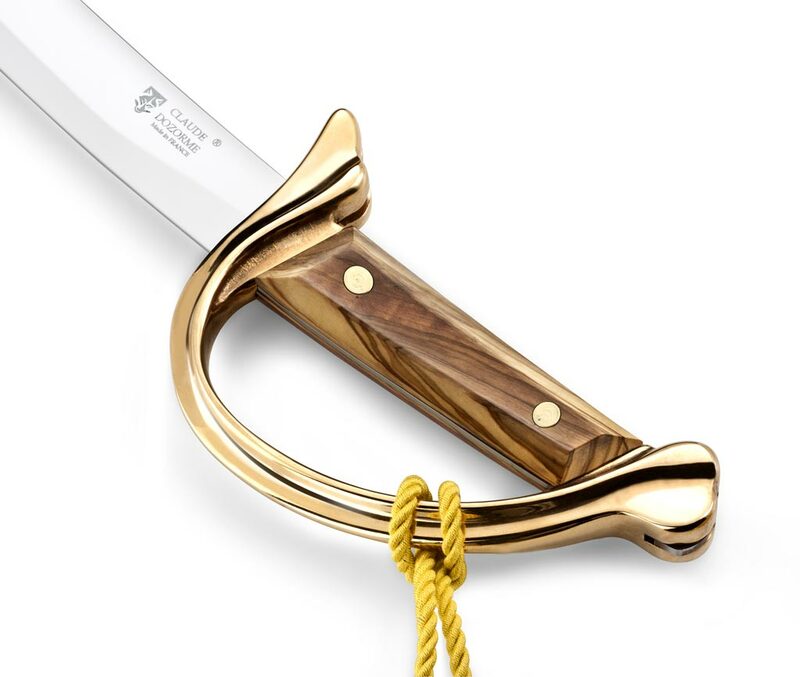 We love : The dragon trimmings hark back to the days when the riders of the napoleonic cavalry wore their arms at the wrist. Do you know the origin of this tradition ? The practice of sabering champagne dates back to the nineteenth century and the hussars of the Napoleonic Guard. Indeed, these brave warriors used to pay homage to victory, vigor, virility and the ladies by … blowing up the champagne cork with a simple flip of the blade. They sabered the Champagne. A spectacular and masterful gesture explained by Claudine and Claude Dozorme. Somewhat fallen into disuse in recent years, sabered remains a true symbol of the French way of life, both chic and timeless and invariably evokes the most beautiful solemn parties. So why not be tempted by this magnificent original and prestigious object that will gracefully accompany all your events ? 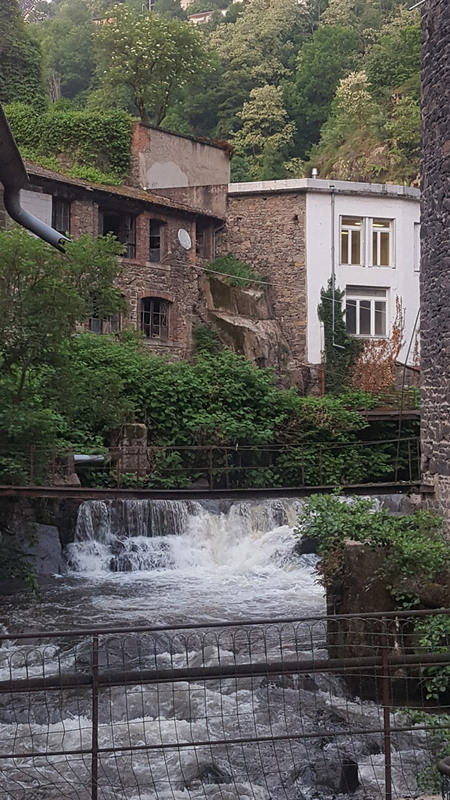 Pour + de renseignements, rendez-vous du côté de la boutique en ligne “Sabre à champagne”. 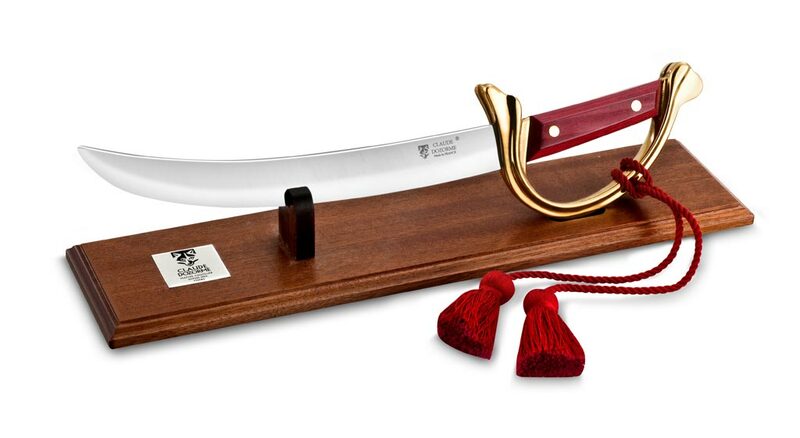 For more information, go to the online shop “Champagne Saber”.